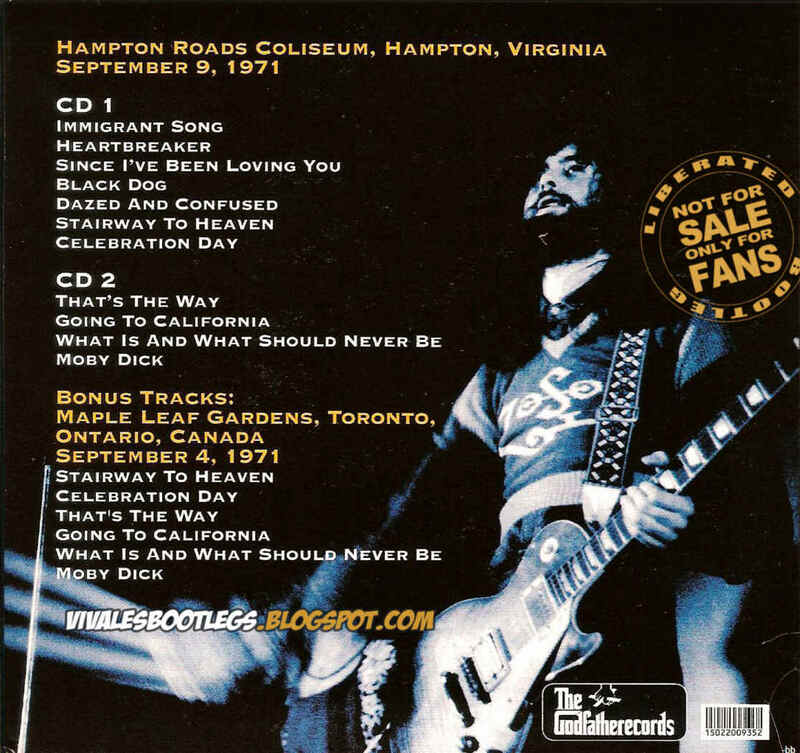 Recorded Live at Hampton Roads Coliseum, Hampton Beach, VA, USA - September 09, 1971. Files: 17. :: Size: 328.10 MB (mp3) / 553 MB (flac). Notes: * Disc 2 Bonus tracks are from Maple Leaf Garden, Toronto, Ontario, Canada - September 4th, 1971. The bulk of High Heeled Sneakers on Godfather Records in the popular Hampton Virgina tape from Zeppelin’s seventh tour. Beginning with its appearance on One More Daze (DS92D046) on Dynamite which contains “Immigrant Song” to “That’s The Way” and its full release in 1996 on Tarantura’s Jim’s Picks (HAMP-1,2) to last year’s Hampton Roads Coliseum 1971 (Scorpio LZ-08019), there have been a myriad of different editions. The sound quality between all these titles is so similar that to single out one release as “definitive” really borders on being too pedantic. 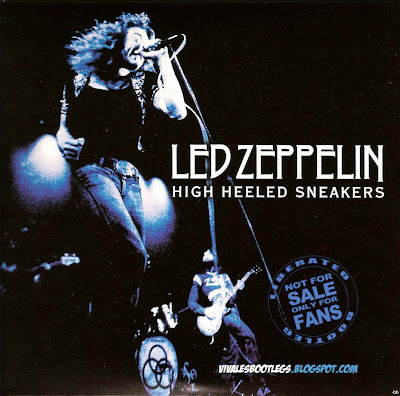 High Heeled Sneakers does sound very nice with a touch more bottom end that the older releases giving the flat sounding tape more liveliness. - bostonbro -.<-(Info taken from original info file). Another great boot from viva,thanks a lot!! another great boot from your fantastic site,thanks!